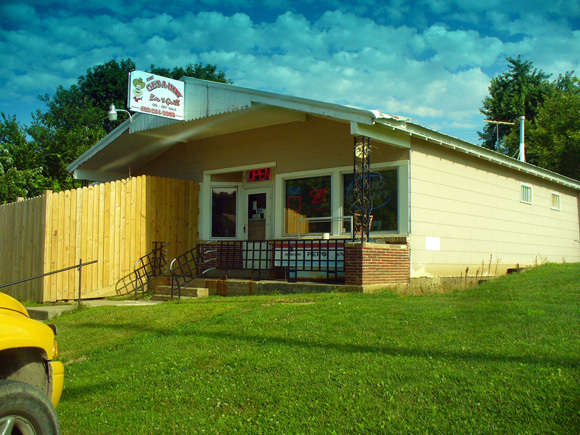 Scooter’s 570th bar, first visited in 2009. We got inside and the first thing we noticed was that our friends from Hopkins Tavern back in Weeping Water were there. “”It’s about time!”" they said. 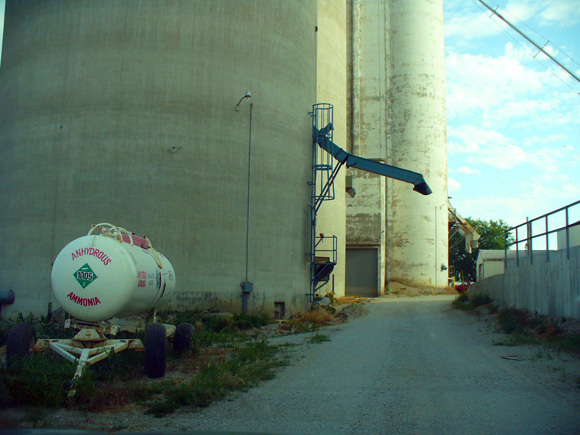 They got a good laugh out of it when we explained that we had arrived by way of Louisville. The bar was completely full so we had to sit at a table. We decided to go ahead and get a little food, just some fried appetizers, and the bartender was so service-minded that she wouldn’t hear of it when we got up to order from the bar and she instead came around to take our orders. I knew it had to be getting late since the evening news was on, which meant we had fallen a little behind schedule. 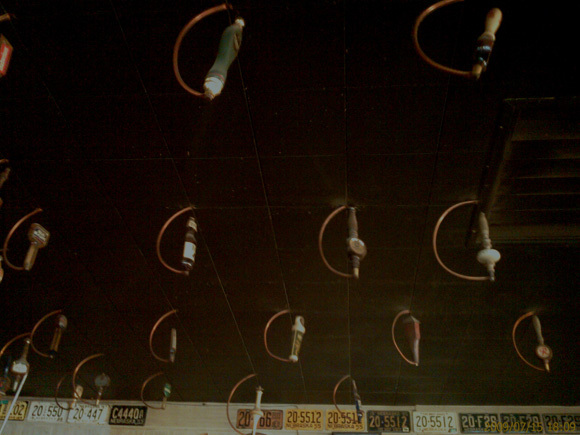 As we watched the TVs we noticed that the ceiling was decorated with dozens of classic beer tap handles.